In total joint replacement, culturing of the sonication fluid of removed implants has proven to be more sensitive than conventional periprosthetic tissue culture for the microbiological diagnosis of prosthetic joint infection. However, its role in postoperative spinal implant infection (PSII) is not well investigated. 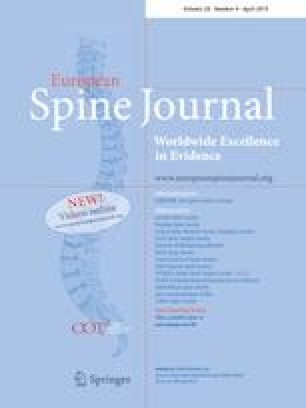 Therefore, the aim of this study was to determine the validity of sonication in detecting infection following instrumented spine surgery. In this prospective controlled consecutive cohort study, patients undergoing spinal revision between September 2016 and March 2018 were analyzed. In all patients sonication of removed spinal implants and at least one peri-implant tissue culture were performed. Demographic data, including age, gender, clinical manifestation, comorbidities, laboratory values (CRP and blood leukocytes), were recorded. Microorganisms causing PSII were documented. Sensitivity and specificity of sonication and peri-implant tissue culture were evaluated. A total of 118 patients were included. PSII was diagnosed in 35 patients, representing 29.6% of the study cohort. Sensitivities of tissue and sonication fluid culture were 65.7% (95% confidence interval (CI) 48.6–80.0) and 94.3% (95% CI 85.7–100) (p value = 0.002) and specificities 96.4% (95% CI 91.6–100) and 98.8% (95% CI 96.4–100), respectively. The most common microorganisms found in PSII were coagulase-negative Staphylococci and Propionibacterium acnes. Eleven PSIIs were detected only by sonicate fluid culture. Culture of samples obtained by spinal implant sonication was more sensitive than conventional peri-implant tissue culture for the microbiological diagnosis of PSII. Therefore, sonication should be used as a routine tool in the diagnostic workup of PSII. Justus Bürger and Akgün Doruk equally contributed. The online version of this article ( https://doi.org/10.1007/s00586-019-05881-x) contains supplementary material, which is available to authorized users. No conficts of interest for the current study.